I might be a little obsessed with bacon. One of my favorite wedding gifts was a bacon of the month club, in which Michigan’s own Zingerman’s Deli delivered a different variety of bacon to my door every four weeks. I’ve also already written about 5 bacon dishes I can’t get enough of here, but limiting myself to such a small number was HARD. 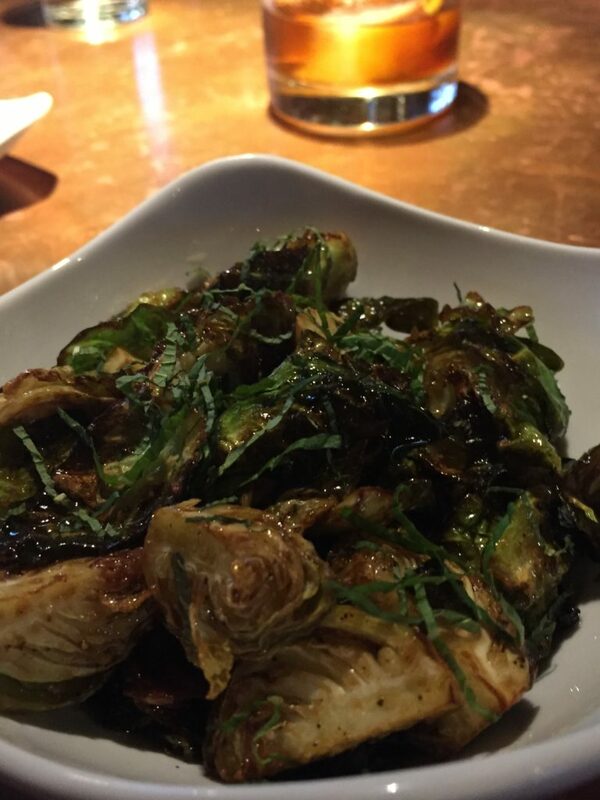 So here we go again – I’m listing 5 more must-try meals where bacon is the belle of the ball. Tacos for breakfast are pretty much a dream come true, especially when you pair it with a blueberry basil margarita at Balboa brunch (tongue twister). 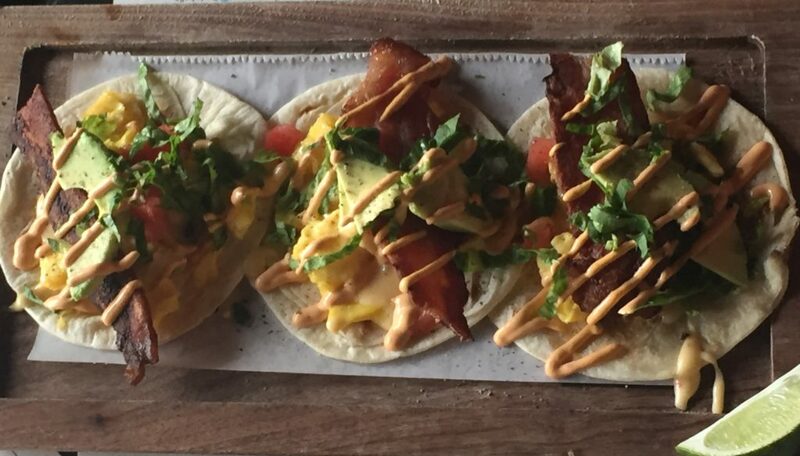 An order includes three mini tacos, bursting with queso, avocado, scrambled eggs, veggies, and of course, a crispy slab of bacon. I always thought that people who ate hot dogs with peanut butter deserved the electric chair. But now…I’m a convert. Food truck The Angry Weiner is serving up the component that convinced me: bacon jam. 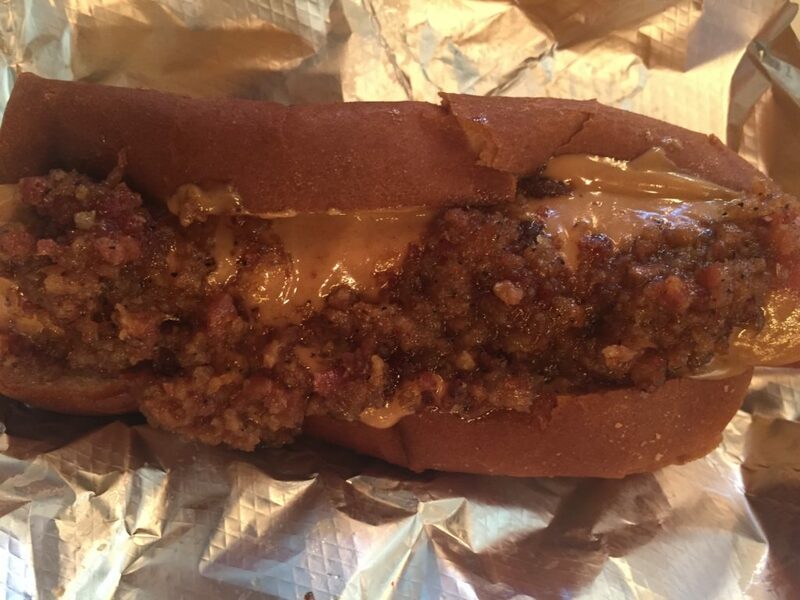 When a toasty bun meets melty peanut butter and savory bacon jam, trust me, it’s amazing! 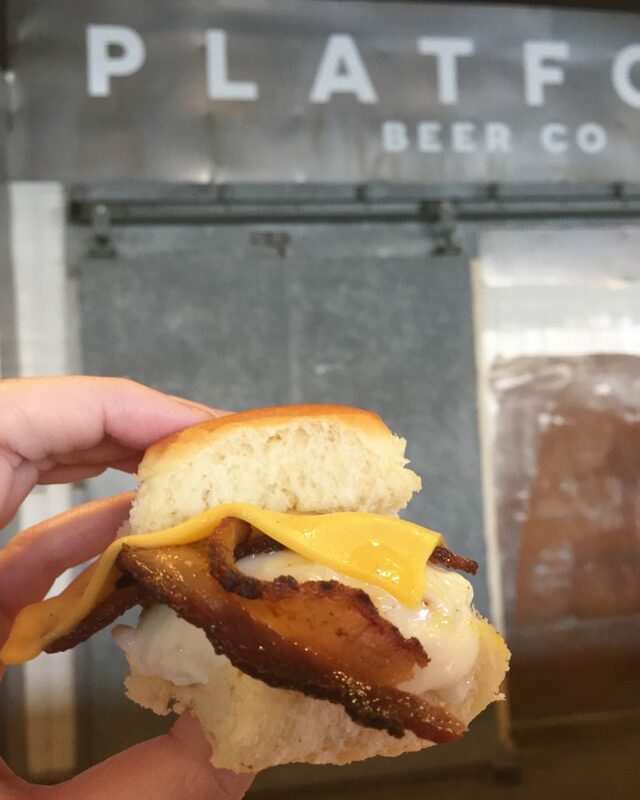 Every Saturday from 10-2, Platform Beer Co. is hosting 1803 Bacon for brunch. I’m crazy for the sliders: teeny sammies with poached eggs, 1803’s signature blended curry bacon, and a good old Kraft single. Buy a pack of Maple Espresso or House Bacon for the road too. This item is a more traditional use of bacon, but certainly not less tasty. Salty from the generous chunks of bacon and crammed with plenty of cheddar, these treats will kick your morning off right. Plus, they are available at both the German Village and Bexley locales. Sure, anyone can make a BLT. But only the recently revamped Grandview Cafe can layer it up in Southern style. Country white bread is sandwiched with dill pickle aoili, arugula, crunchy fried green tomatoes, and ample strips of bacon. 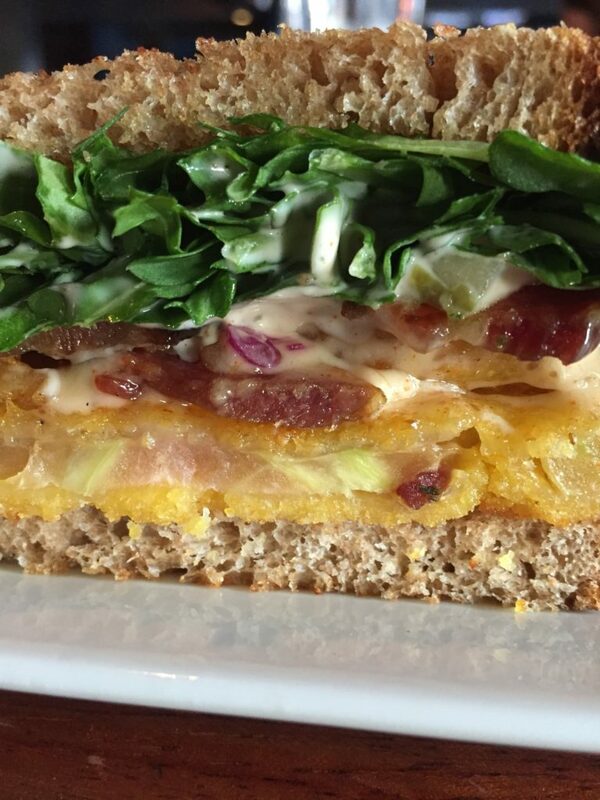 You’ll be hard pressed to eat a plain Jane BLT again. Bonus bacon sneak peek: next week’s post will be a burger recipe, featuring bacon-date spread. Check back next week for the scoop! The Market Italian Village is one part actual market (buy craft beers, well-priced wines, and local food products), one part bakery, one part restaurant, and a large dash of perfection. The menu at any time of day is always seasonally-focused, creative, and artfully prepared. 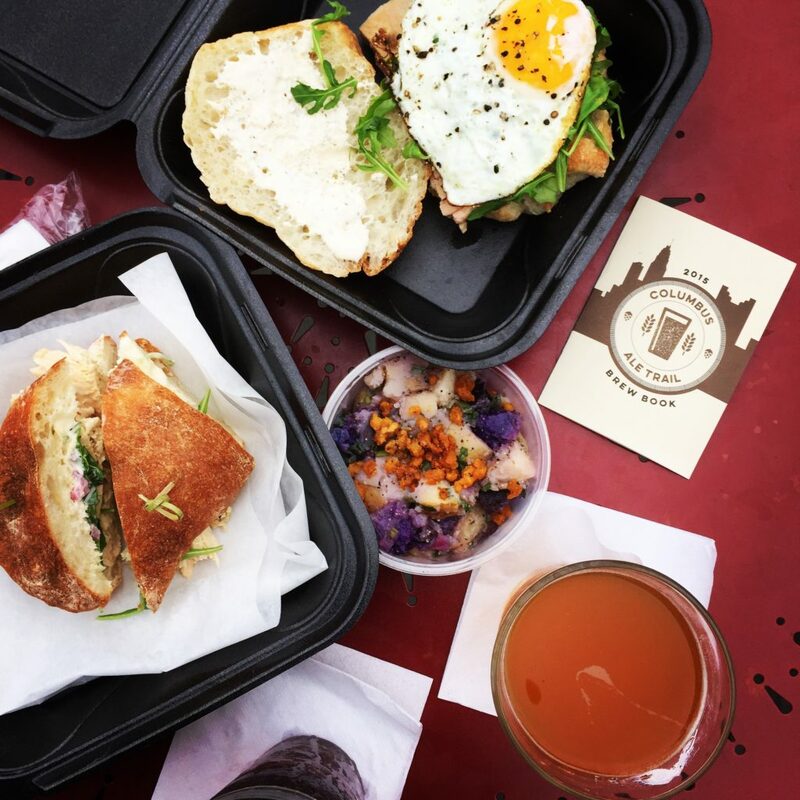 One of The Market’s best kept secrets though, is brunch. 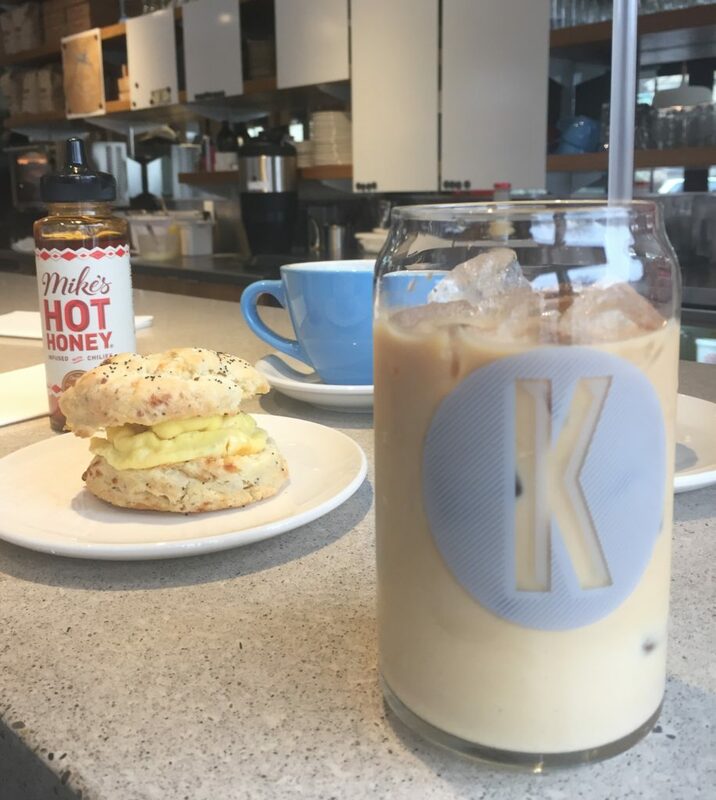 Start your weekend morning right by snagging a stool in front of the open windows and people-watching while savoring some rib-sticking cuisine. Let’s start with the French Toast and Chicken. Say sayonara to the Chicken and Waffles gracing every brunch menu in town. This dish is immense (hooray for leftovers!) and hits all the right notes: huge slabs of French toast, crunchy fried chicken, creme fraiche, and smoked maple syrup. I’m always partial to a good egg sammie, so the B.E.L.T. is an ideal option. Consisting of thick-cut bacon, a runny egg, greens, garlic aioli, tomato jam, sourdough, and optional smoked salmon (vote yes) this a simple but well-executed dish. Don’t forget the crunchy home fries on the side! 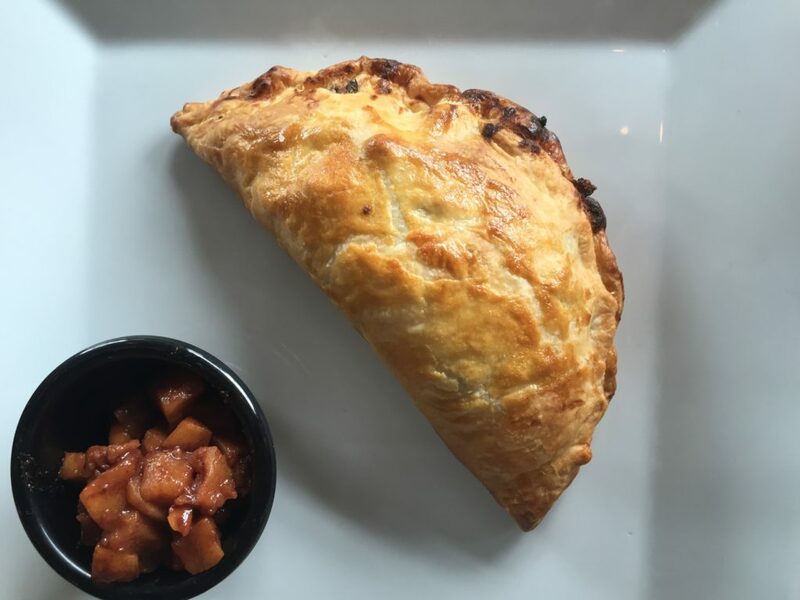 Other mouthwatering selections include the Market Waffle (topped with bourbon bananas foster and pecans), Shakshouka (baked eggs, tomatoes, red pepper sauce, crispy chickpeas, and feta with stone-fired pita bread) and the biscuits with lamb gravy. Each dish is familiar with an elevated twist. Feeling festive? Brunch cocktails are also available, such as the house Bloody Mary, garnished with candied bacon. 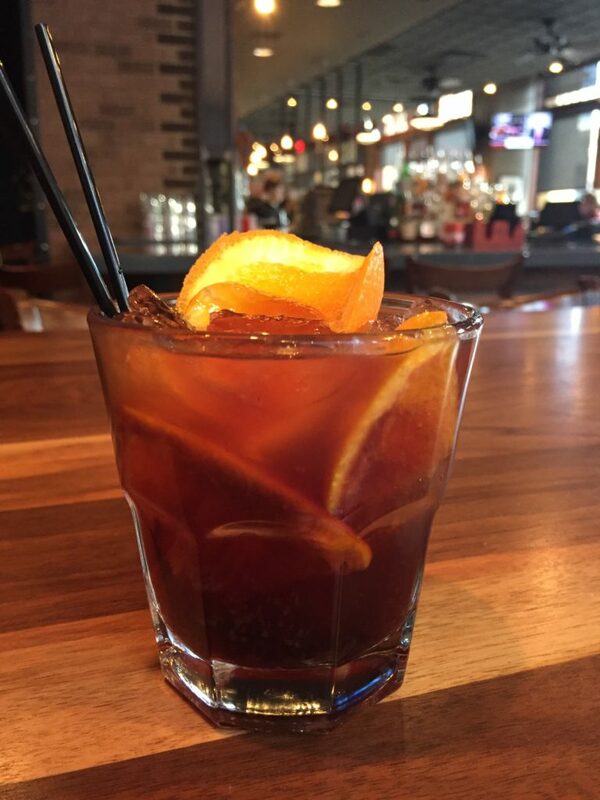 Fruit fans will flip for the sangria: red wine, Grey Goose l’orange, Copper & Kings brandy, hibiscus, orange juice, and honey, or pry those eyes open with the Espresso Milk Punch (bourbon, molasses, spiced simple syrup, Snowville milk, Deeper Roots espresso, and nutmeg). 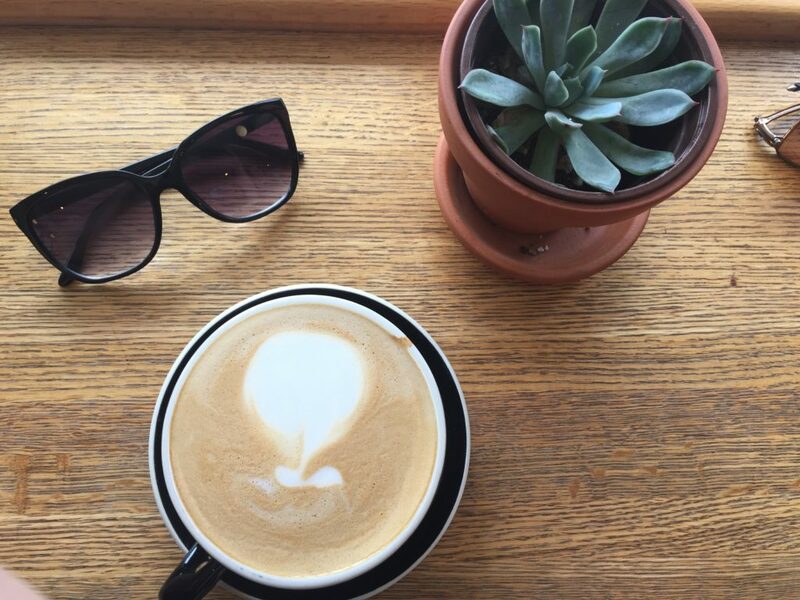 Pair your meal with a luscious lavender latte, score a pastry for the road, and #brunchgoals are complete. 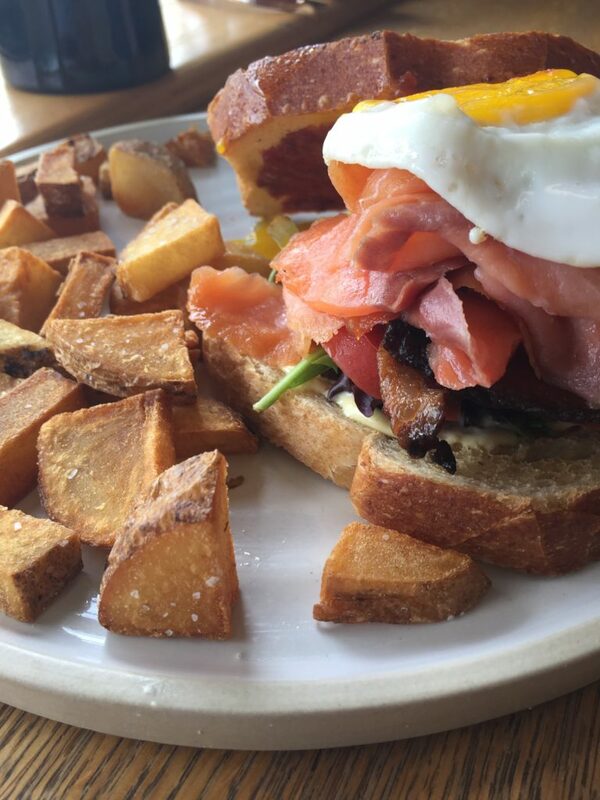 Tell me more about your favorite Italian Village brunch spot in the comments below! This one is simple: croissant meets muffin and has the flakiest baby imaginable. The result is a handheld delight that will satisfy your every breakfast desire. Fillings range from strawberry cream to spicy cardamom. Pick one up at select farmers markets or at Dan’s Grandview restaurant, Toast Bar. All the kolache flavors are wonderful, but the not-too-sugary filling of the caramel mocha kolache has my heart. 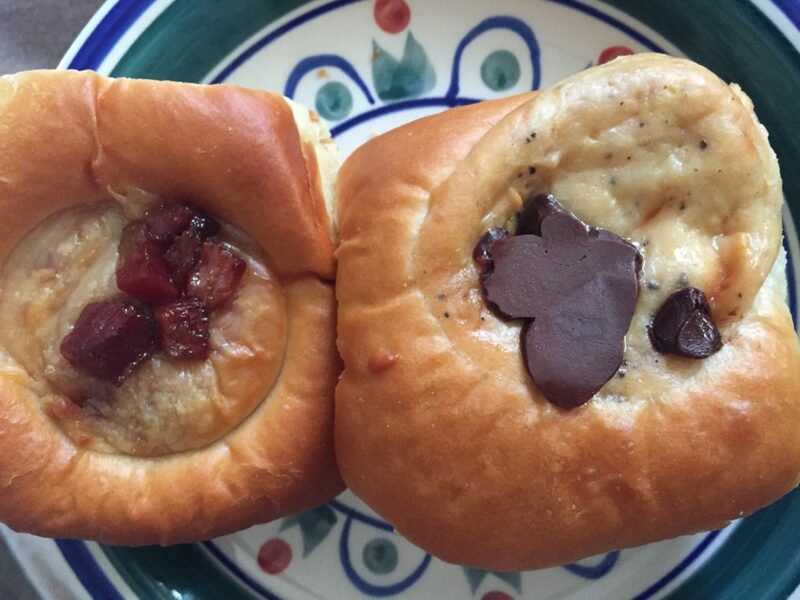 If coffee isn’t your speed, these Czech pastries consist of a soft, yeasty dough packed with sweet or savory items like chocolate, bacon, or cheese. Pick up a couple extra for mid-week snacks – you won’t regret it. 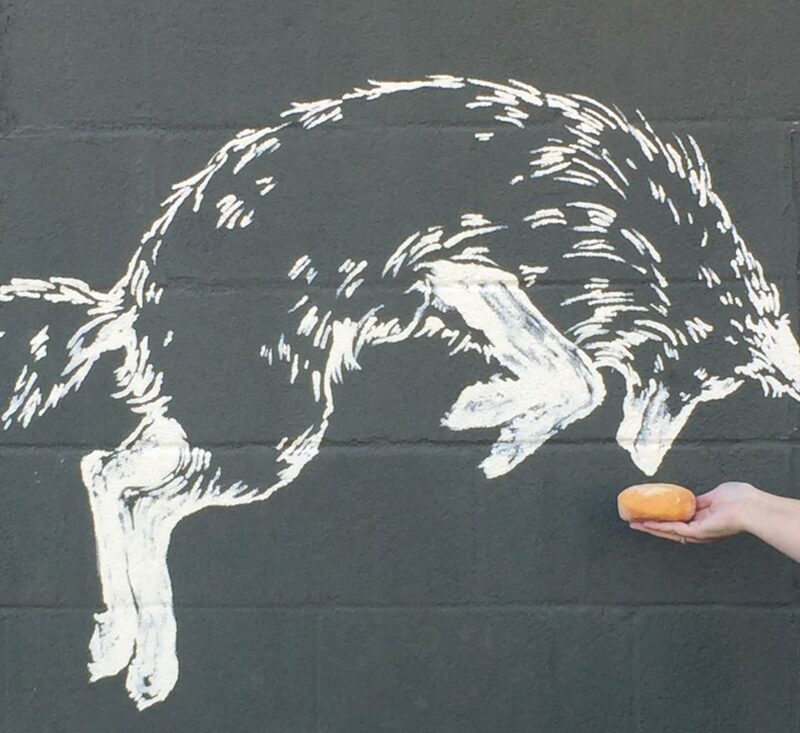 For a place that isn’t a donut shop, Fox in the Snow has created one tasty confection. Basic but not boring, these donuts are bursting with a generous amount of thick vanilla custard, then rolled in sugar. Keep a napkin handy for the superb stickiness that will ensue. I dare you to eat only one. Ok so I really like croissants. Mainly because I like butter, and croissants have an indecent amount of butter. But also because the Angry Baker is serving up a red velvet version. 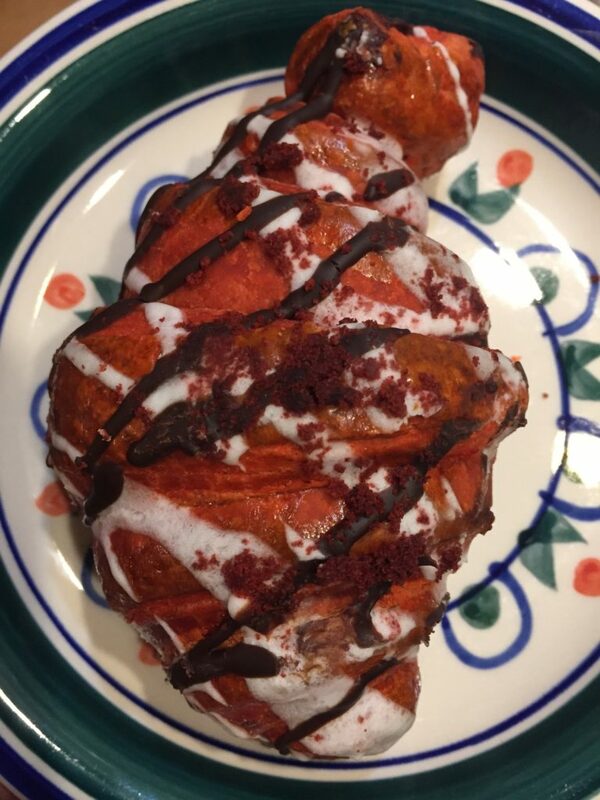 With a cream cheese center, chocolate drizzle, and brilliant red hue, you can have your cake croissant and eat it too. Aebelskivers are stuffed Danish pancake balls, the morning essential you never knew you needed. 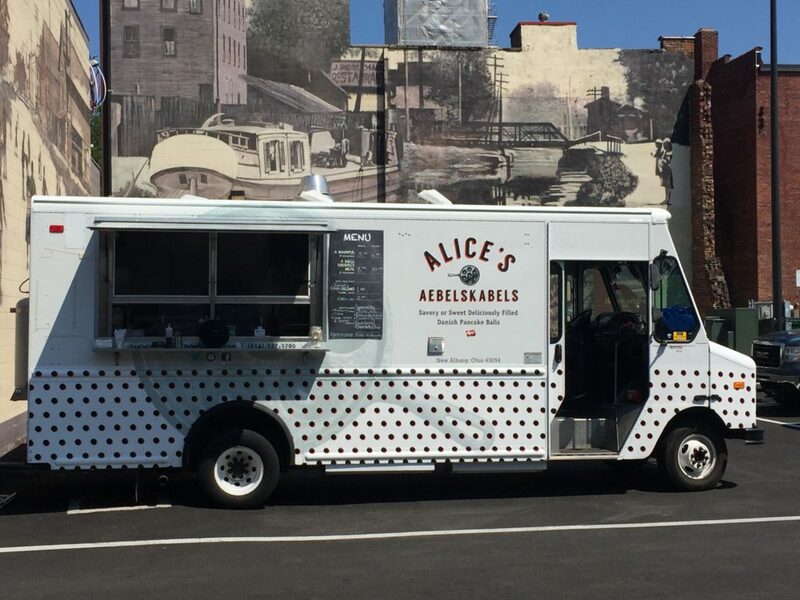 Alice’s dishes out their take on the treats from a food truck, and can be hard to track down. But the hunt is worth every bite, especially for the lemon blueberry version. Tangy, bright, and with just enough of a dessert edge, you should add this to your wish list. 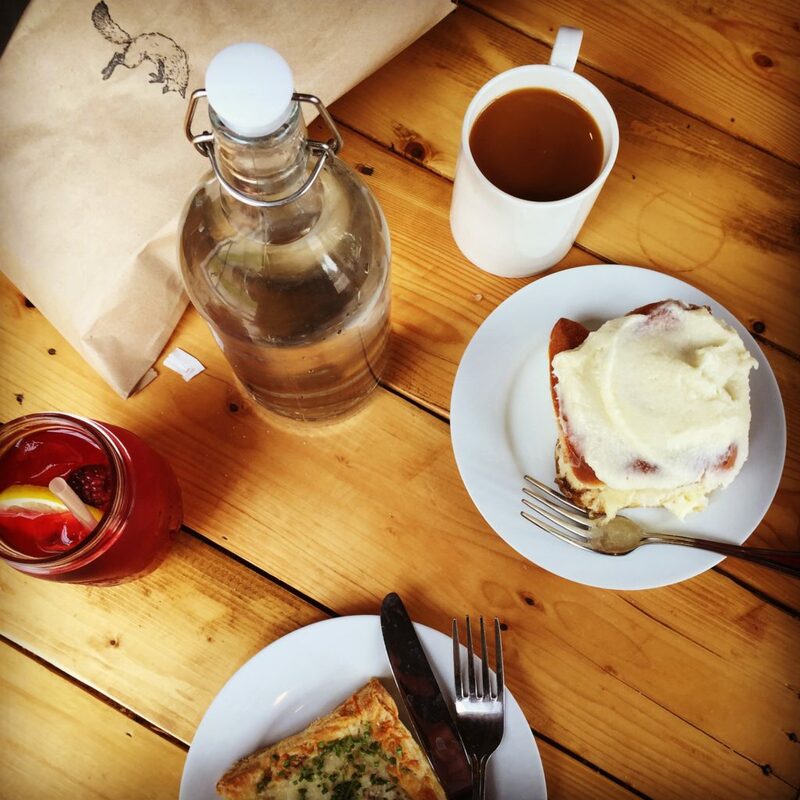 What do you think is the best sweet breakfast bite in Columbus? Let me know in the comments below! 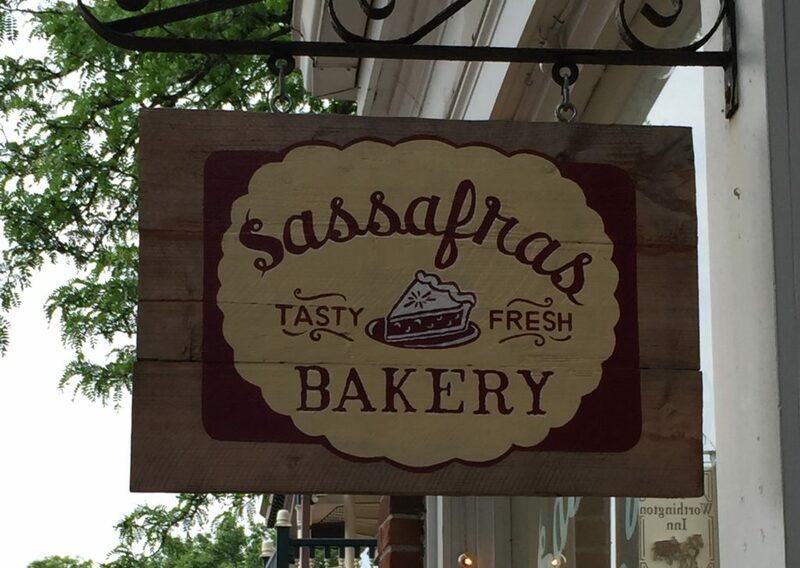 Tucked into a small shop in historic downtown Worthington, Sassafras Bakery is churning out delectable sweet and savory items. Arrive as early as you can for the best selection – these are some goodies you won’t want to miss. I’m always ready to gobble on a flaky pie crust, and have mentioned the divine cherry pie before here. 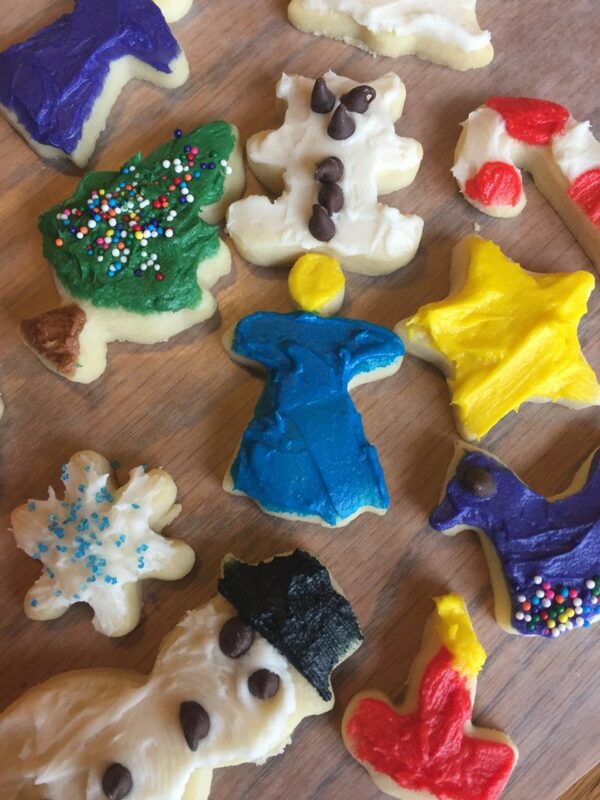 Many bakery items are seasonal, but there is always a treat to try any time of year. Pies are featured front and center, and are available in various sizes for carryout purchases. Each is piled sky-high with toppings and enveloped in a tender crust. Choices range from sugary (Salty Ohio Maple) to creamy (Vanilla Chai Cream) to fruity (Strawberry Rhubarb) and beyond (Bourbon Pumpkin). The donut muffins also keep me coming back. These jumbo muffins are baked to a cake-like texture, then the whole thing is rolled in cinnmon sugar reminiscent of your favorite donut. Granola bars, brownies, and blondies are for sale as well. 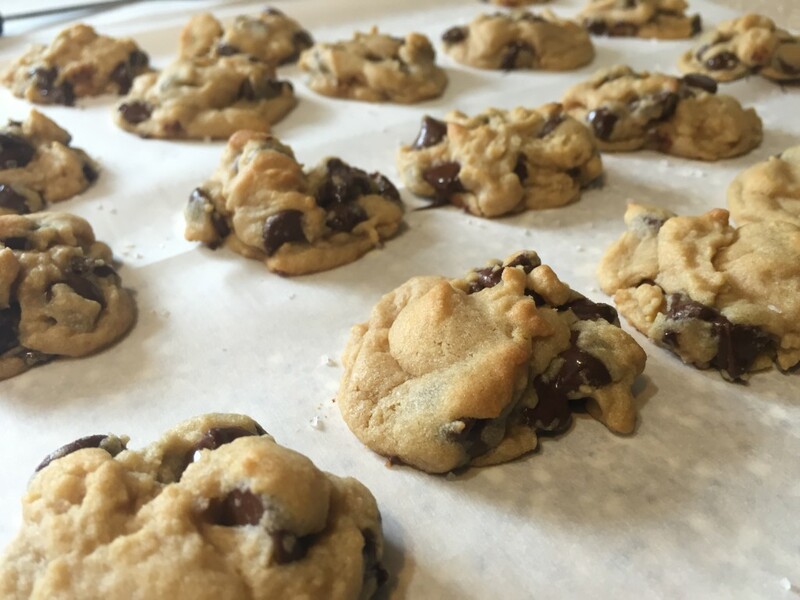 Last but not least: happy hour for cocktails is all well and good, but have you ever had milk and cookies happy hour? Here, every day from 3-5 pm, Sassafras is serving up free milk and coffee when you purchase a cookie. And when available varieties include triple ginger, salted chocolate chip, and lemon-rosemary, what’s not to love? 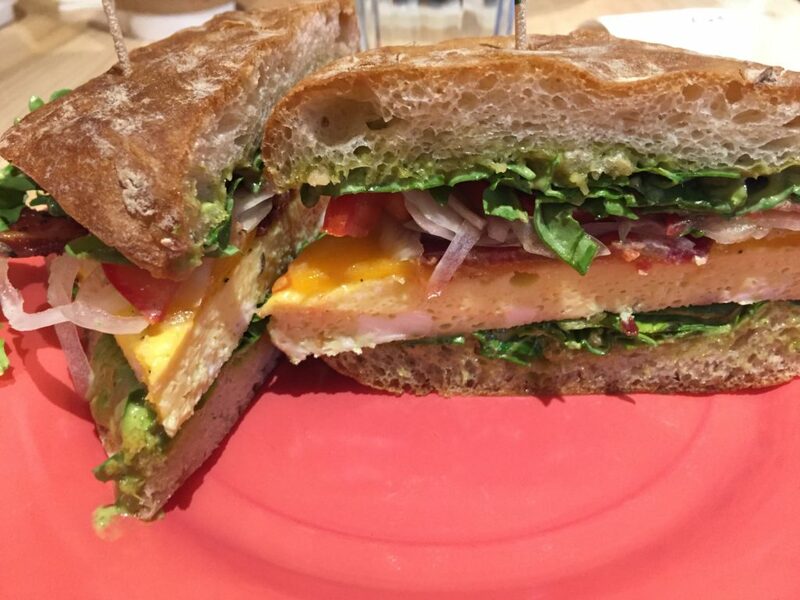 On the savory spectrum, you must order the egg sandwich. This isn’t your average breakfast between bread, but is instead bright and herbaceous. Sassafras’ version consists of ciabatta stuffed with egg souffle, peppered bacon, tomato, chimichurri mayo, cheese, arugula, and shaved onion. Veggie lovers will flip for the vegetarian jerk mushroom sammie and even the roasted carrot salad. The seasonal soups are noteworthy as well; during my last visit, the feature was a chilled strawberry soup with olive oil and black pepper. Quiches are made with the same thick and perfect crust as the pies. The Caramelized Onion, Apple, Cheddar, Blue Cheese, and Thyme Quiche is a personal favorite, but don’t forget about the bacon, fontina, and chive version either. 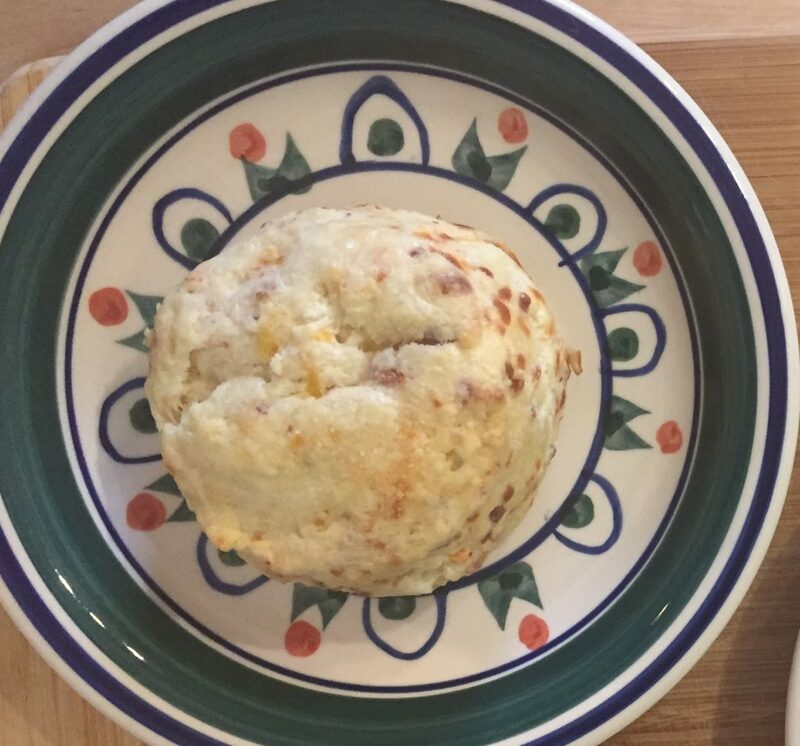 Bacon is also the star of the craveable bacon-cheddar scones, with sausage and banana pepper as a close second in flavor. Various other drool-worthy items like asparagus galettes with cornmeal crust rotate on and off the menu board. Culinary Clue: Stop by the bakery during the Worthington Farmer’s Market. Its location is right in the middle of the market, making Sassafras the ideal spot to take a break in the A/C. 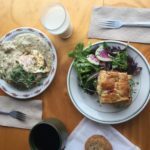 You can also visit Sassafras as a stop on the Worthington itinerary of Columbus Food Adventures tours. 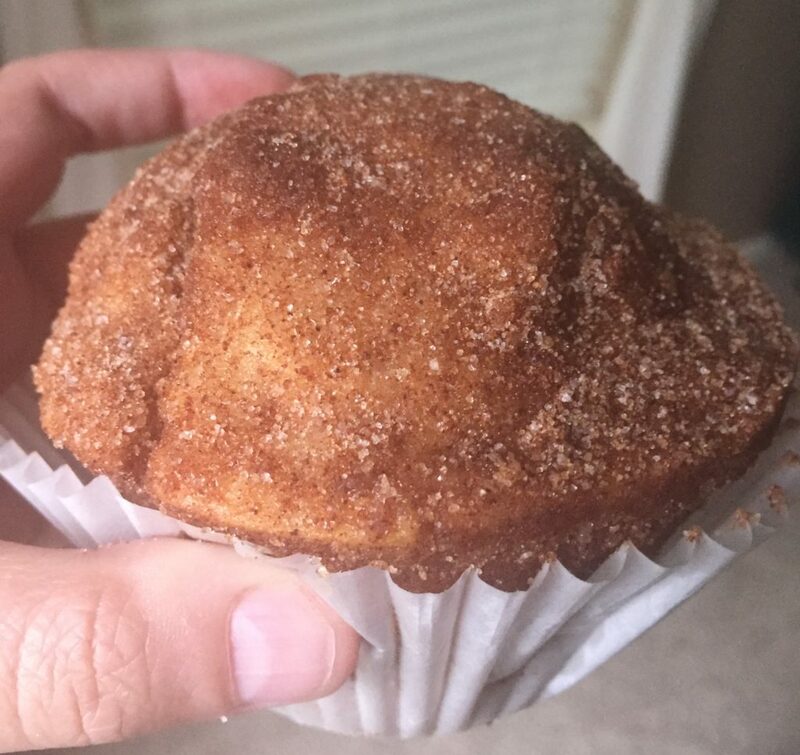 Have you tried those ridiculously scrumptious donut muffins? Let me know your take on Sassafras in the comments below! I’m going to put the most important words in this post out there at the beginning: pizza flight. That’s right – Paulie Gee’s in the Short North is dishing up the best flight you never knew you needed, in the form of 3 mini pizzas. 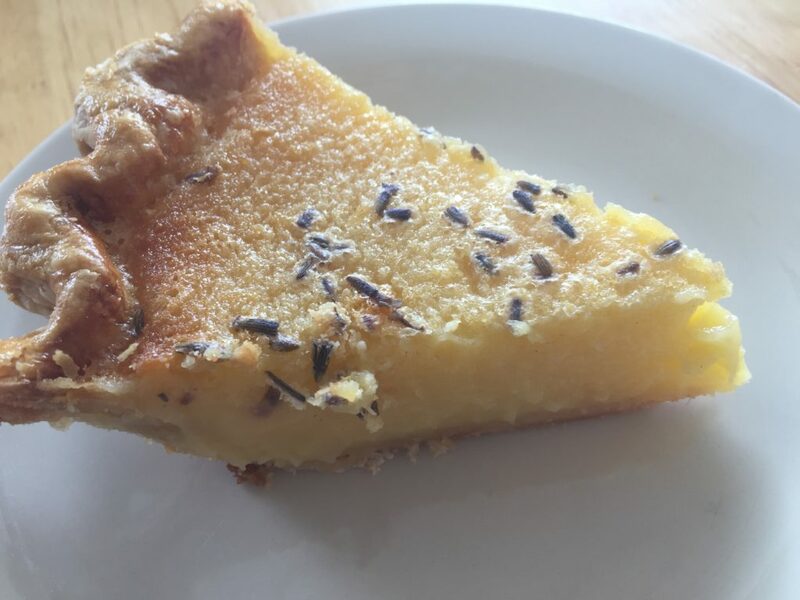 The owner, T.J., is an OSU grad with a passion for pie. He knew that our capital city would be a great fit for the renowned NYC eatery, and convinced the Paulie of Paulie Gee’s to franchise here. There is no bland corporate feeling in the restaurant though. The reclaimed barn wood walls and framed photographs of Cbus keep things local; even the pizza flight boards are crafted by Columbus purveyors. 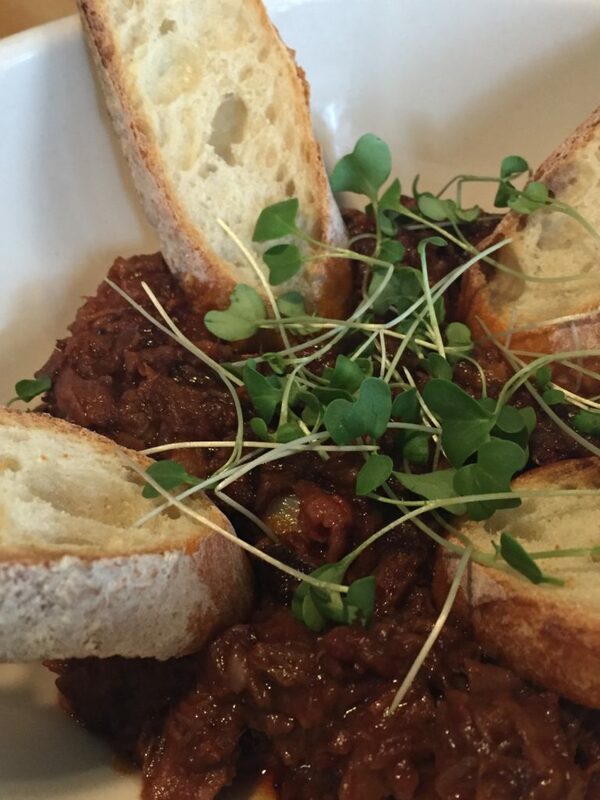 To start, a must-order item is the Brisket Marmalade. This concoction begins with Ray Ray’s Hog Pit BBQ mixed into a sweet tomato base, piled high and served with Laughlin’s Bakery crostini and microgreens. You can also find the local meat king’s brisket on the Hog Pit Brisket Pizza, BBQ pie plus pickled red onion and mozzarella. Wash it all down with a Columbus by Way of Brooklyn, an OYO Rye sipper made with luxardo liqueur and hopped grapefruit bitters. But let’s get to the pizza. Don’t miss checking out the staff tossing dough and shoveling it into the cavernous brick oven that cooks each pizza in less than 2 minutes. 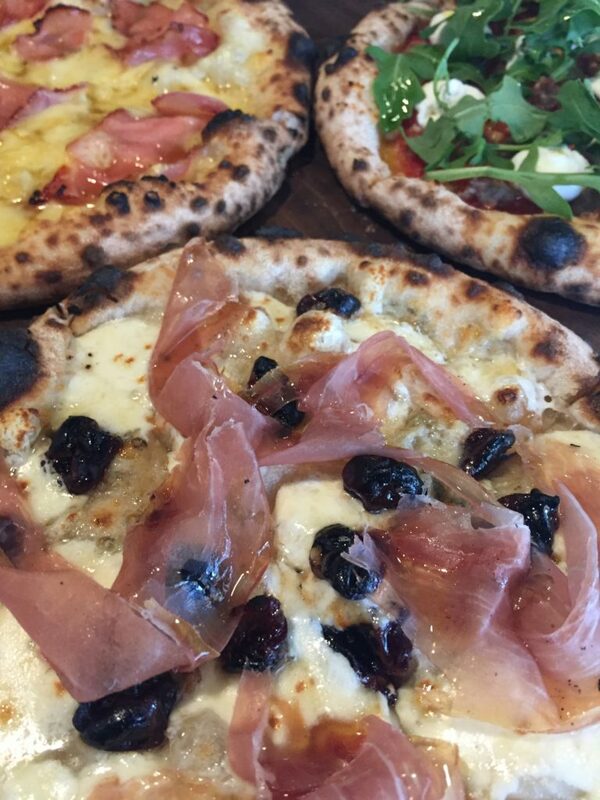 Opt for the flight to maximize your tasting options; if you bring a friend, this means you can sample 6 pizzas and have plenty for lunch the next day. Even then, it is still so hard to choose a favorite. The divine Cherry Jones (Gorgonzola, prosciutto, dried cherries and more) and the sweet and salty Monte Cristo (Canadian bacon, gouda, and maple syrup) have captured my heart. But I can’t forget the Katzingers Deli-inspired pie, consisting of Swiss, pastrami, sauerkraut, and a Russian dressing drizzle. And then of course, there is the Hellboy, its dough spilling over with tomatoes, parm, mozz, hot sopressata, and spicy honey. It indulges my Mike’s Hot Honey obsession completely, a love first cultivated by Kittie’s Cakes. Finally, I especially love that so many of the pizzas are crowned with a dollop of ricotta. Why aren’t more pizzerias swirling on ricotta? Even vegans can get in on the ricotta action – the Red, White, and Greenpeace Pizza has a cashew milk version. If you’ve ever questioned whether it’s worth it to go to the Short North for pizza, the answer is an unequivocal yes. Culinary Clue: Speaking of the Short North, parking can be atrocious. But Paulie Gee’s has its own lot at Wall and 5th Streets during most hours. Look for the sandwich sign with Paulie Gee’s logo on it. Disclosure: The Columbus Food Bloggers group and I received a free Paulie Gee’s smorgasbord; however, all opinions in this review are my own. 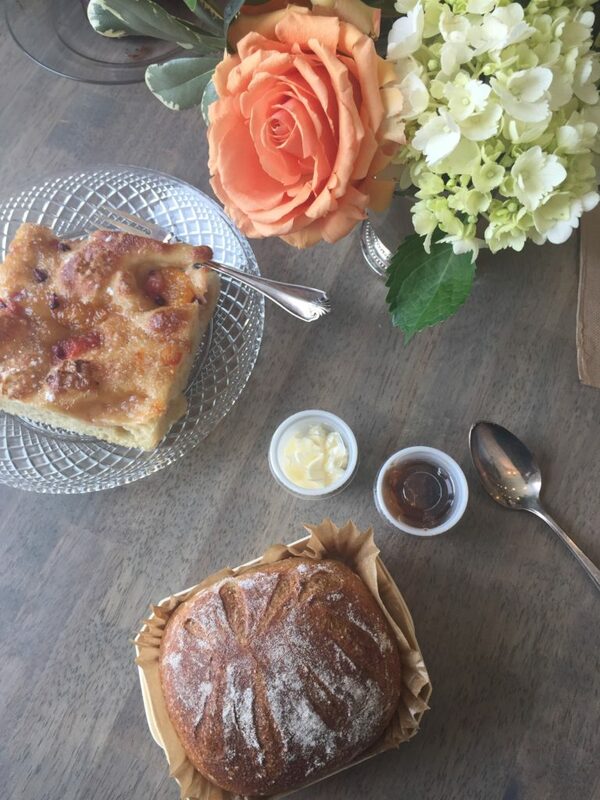 Clintonville’s newest bakery is combining all the pretty things in one spot, with baked goods, hydrangeas, and a cozy atmosphere. Beauty in simplicity rings true here; every element is aesthetically pleasing and not too stuffy. Flowers & Bread is open, airy, and filled with fresh floral arrangements created by the shop. You can pick up these same bundles of flowers to gussy up your own table at home. The bakery counter is small, but it’s churning out some seriously toothsome treats. On the breakfast front, don’t miss the delicate lemon lavender scones or the monkey bread muffins. I’m also crazy about the citrus focaccia, a fun twist on the typical savory bread sprinkled with pomegranate and punchy citrus segments. If you’re looking for lunch, sample the daily soup selections or the baguette sandwiches. 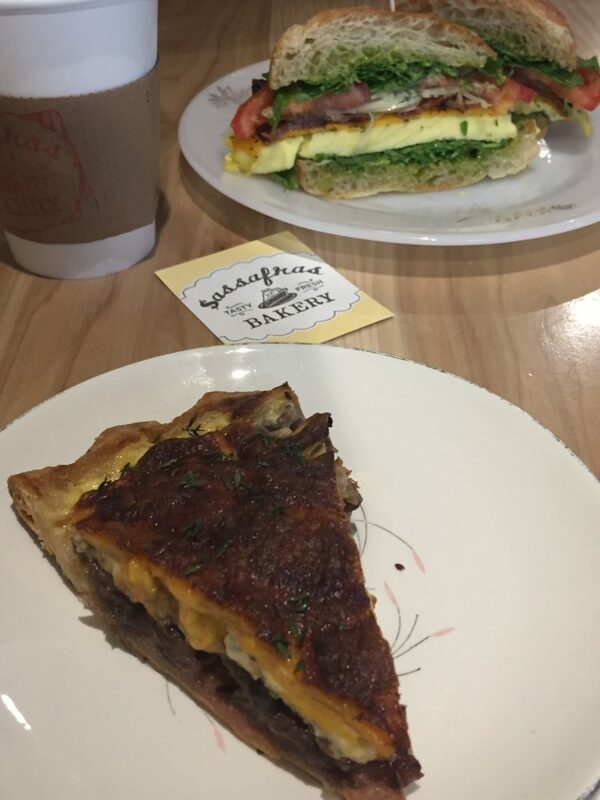 Try the bacon jam and brie sammie with arugula and ham, or the deliciously Spartan radish, butter, and chives version. Finish with the tiny, tender chocolate bundt cakes; the accompanying gold silverware with intricate scrollwork makes every bite a treat. 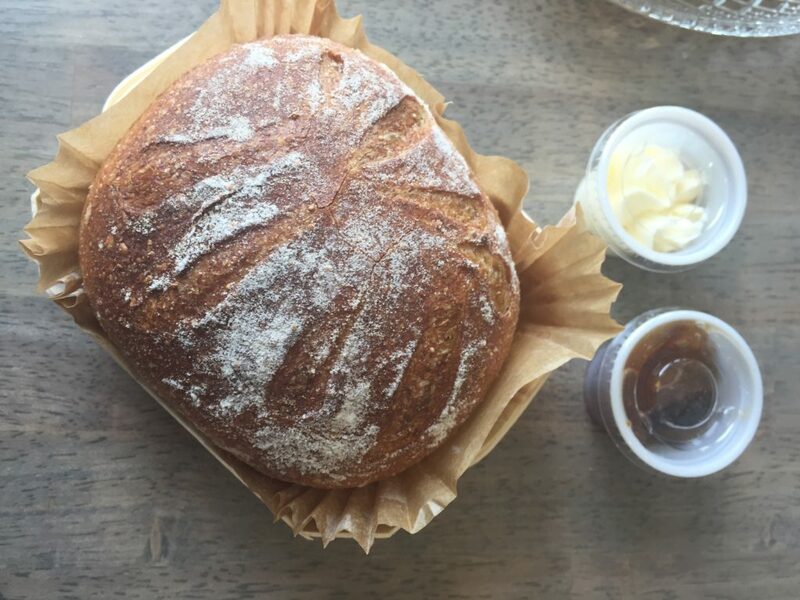 Take home a mini loaf of Semolina bread, with a crispy exterior and soft center. It’s the ideal item for breakfast the next day when slathered with house butter and fig-apple jam. 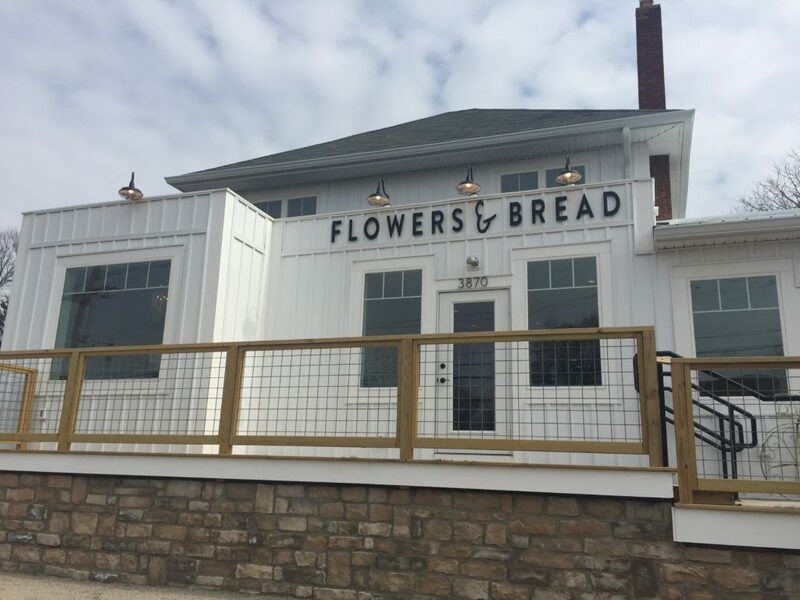 Recently, Flowers & Bread has started offering “date nights,” featuring dishes created with the on-site wood-fired oven. Normally the shop closes at 3 or 4, but these special events are held at night and are BYOB. Menu items have included delectable-sounding smoky oysters, roasted hen, chocolate caramel lava cake, and champagne berries. I will have to try one of the offered cooking or floral arrangement classes soon as well. Topics range from flower crown-making to homemade marmalades and soups. Don’t wait to try this place – it’s one part carryout French bistro and one part dream kitchen with a florist’s touch. Culinary Clue: Get to the shop as early as you can. They just added additional morning hours, and because of the bakery’s popularity things can get a little hectic at times. Going early or during a non-peak hour can help beat the crowds! Hooray for happy hour at Stack City Burger Bar! In a section of town where so many meals will break the bank, the Short North’s Stack City is serving up generous portions at prices that won’t break the bank. The restaurant is part of Hyde Park’s empire, which explains the tasty grub and impeccable service, for a casual joint. 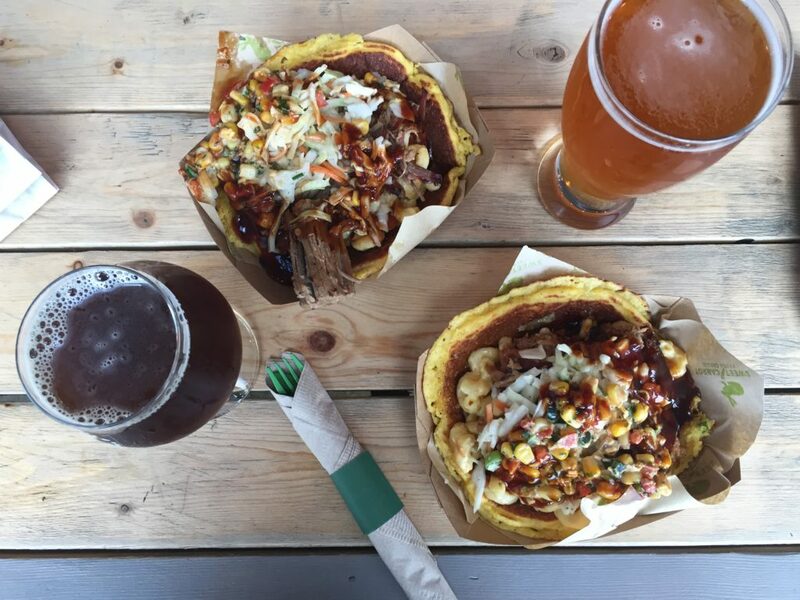 With a large local draft list (including Wolf’s Ridge, Land-Grant, and Seventh Son offerings) and a large patio primed for people-watching, this is an ideal place for post-work dining. Let’s talk more about the sublime happy hour pricing. It lasts from Sunday-Friday, 3-6 P.M. During this time frame, all appetizers, fries, and chips are half off, there are 45 cent bonless wings, and drink deals. Most important of all, there is the $5 Red, White, and Blue Burger (complete with all the traditional toppings) – what a steal! 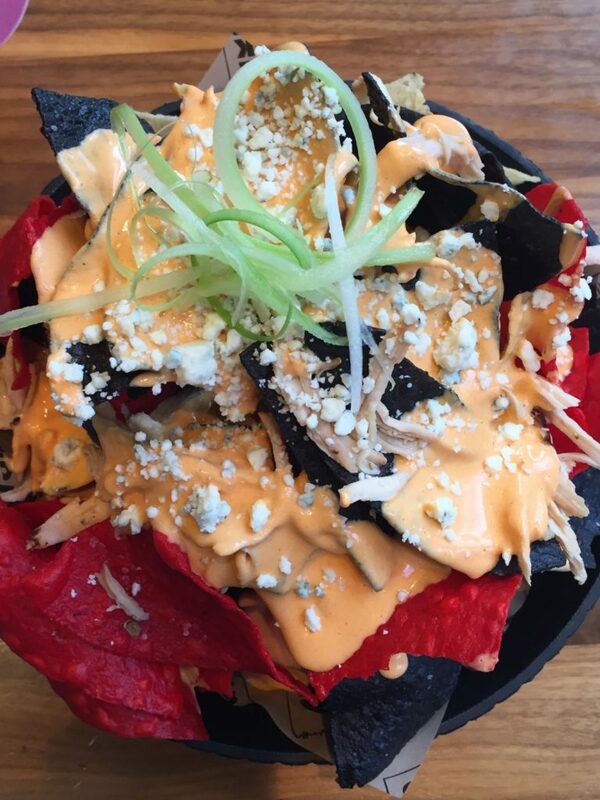 We opted to start with the buffalo chicken nachos, a playful take on the spicy dip everyone adores. The platter that arrived was so immense, I took home half to devour later. There was just enough zip and shaved celery for added crunch, perfect for pairing with beer or the Rye Old Fashioned. Sides are shareable, so scout out some friends to join you and sample them all. The truffle chips were thin and crispy, just like I like them, and the thick-cut onion rings were also tempting, served with a Southwest ranch. 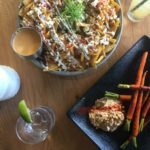 Burgers are something that even the most finicky of your friends can appreciate, and Stack City keeps the menu simple but with some original twists. All of the beef is locally sourced and never frozen, ensuring that your patty is perfection. I enjoyed that you can add an egg and bacon to any of their selections, because when is extra bacon or a drippy egg a bad idea? I ordered the Bison burger, brushed with a delectable balsamic glaze and topped with dollops of goat cheese, grilled onions, and tangy cranberries. I also snuck a bite of my husband’s more traditional Cowboy burger, with bacon, cheddar, BBQ sauce, lettuce, tomato, jalapenos, and capped with one of the aforementioned giant onion rings. It stacks up! 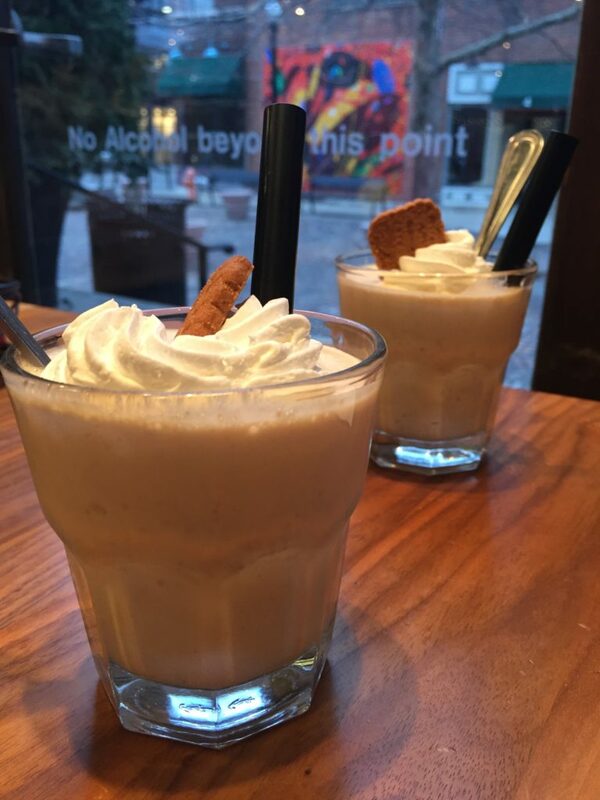 I had to save room for dessert, by snapping up a Biscoff cookie butter shake. If you haven’t had cookie butter, it’s a divine European spread made of crushed cinnamony cookies. When Stack City blends it up with vanilla ice cream and bourbon, it’s even better. There are other boozy shake flavors as well, such as the buckeye shake with chocolate vodka. I’ll be back for this one! Culinary Clue: Don’t miss the featured burgers either; next time I’m fully prepared to devour the latest concoction, the Three Little Pigs. You guessed it – the sandwich features bacon 3 ways, including bacon mayo! Disclosure: My meal was provided by Stack City, but all opinions are my own. 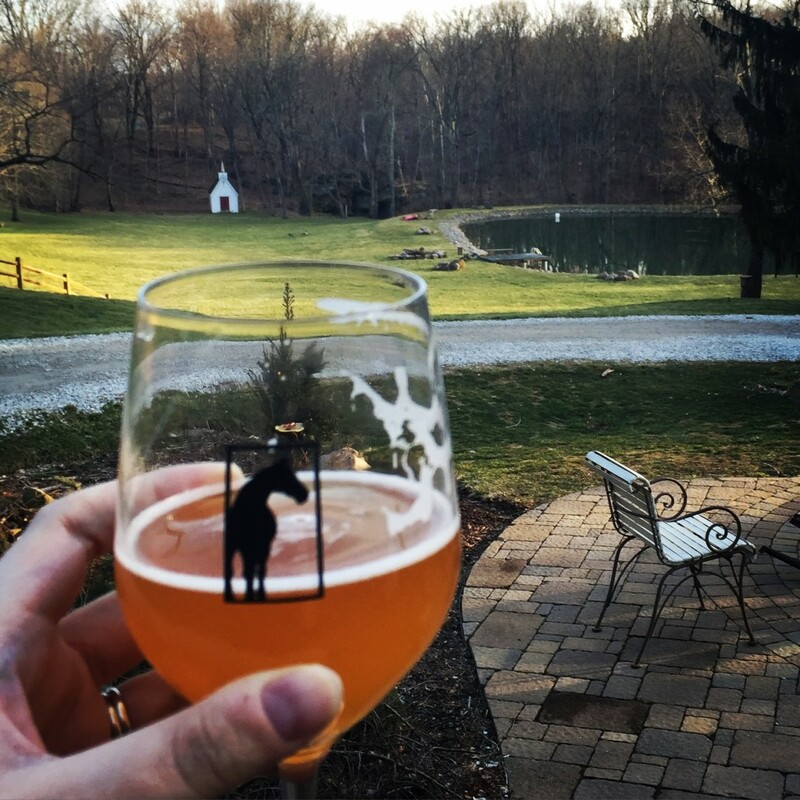 I was ecstatic to hear that Ohio changed its laws in 2016, allowing distilleries to open restaurants and make cocktails on-site at their production facilities. 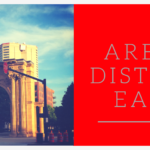 With some wonderful local spirit-makers calling Columbus home, the race was on to for distillers to open attached eateries. Last week, Grandview-area Watershed Distillery achieved that goal. 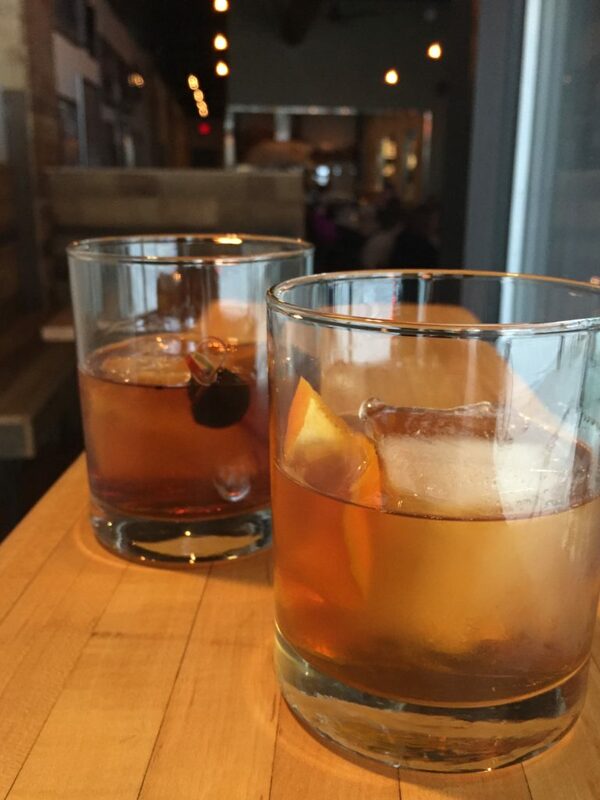 Since I already loved their bourbon, nocino, and visiting their tasting room with Columbus Brew Adventures, when Watershed’s Kitchen & Bar opened last week I was itching to check it out. First recommendation: get reservations. We strolled in right when the space opened at 4, to learn all reservations were booked already. We happily ate at the bar, but it’s clear that the buzz around Watershed’s restaurant is huge. The space itself is well-appointed and simple. A glass wall connecting the dining room to the distillery allows you to peer at the gleaming tanks while you nosh, a fun touch, and the plenthora of candles and dim lighting makes this an intimate date night locale. The cocktail menu is printed in a playful booklet with photos of each drink and trivia tidbits, which lets you see what your drink will look like before you select a choice. No more asking your seat neighbor, “what are you drinking?” For a winter warmer, the Bon Apple Tea (Watershed vodka, apple, lemon, dry curacao, honey, ancho chai spice, winter potpourri) is poured into a floral mug. 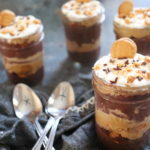 Harken back to your childhood with the Nostalgia & Moxie: bourbon, ovaltine, cream, chocolate bitters, and more, all topped with torched marshmallows. 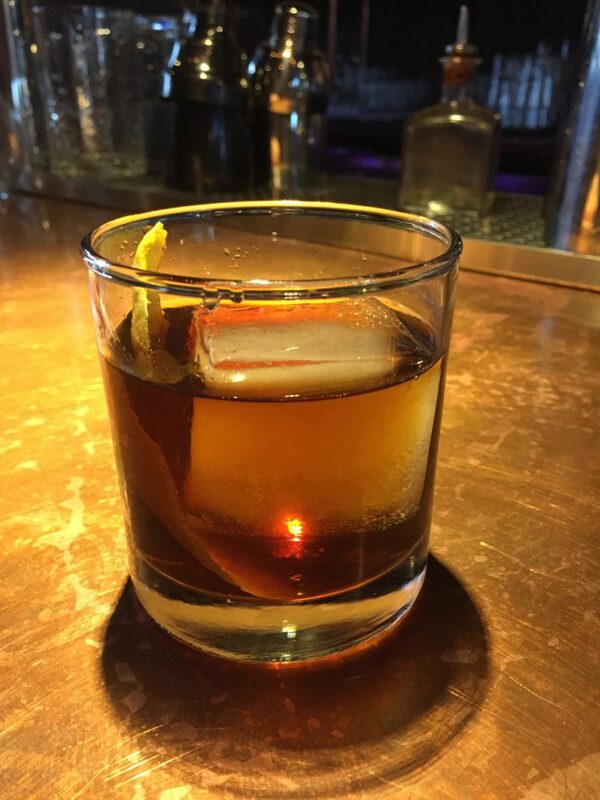 Fans of libations on the rocks will adore the Improved Whiskey Cocktail, an effective blend of bourbon, luxardo, angostura & peychaud’s bitters, and of course, absinthe. There wasn’t a disappointing drink on the menu, from my perspective. Local draft beers are also on tap, as are a generous selection of wines. 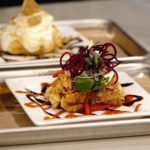 The food offerings are a mix of comfort dishes and eclectic bites. Options include buttermilk fried chicken accompanied by whipped pig butter, house hot sauce, and pickles, or we loved the fried Brussels sprouts, crispy brown and swimming in a peppery-sweet sauce with mint and citrus. The main selections are twists on classics as well, such as the Watershed Burger, a beautifully messy concoction of bourbon-glazed onions, tomato jam, and Brie. 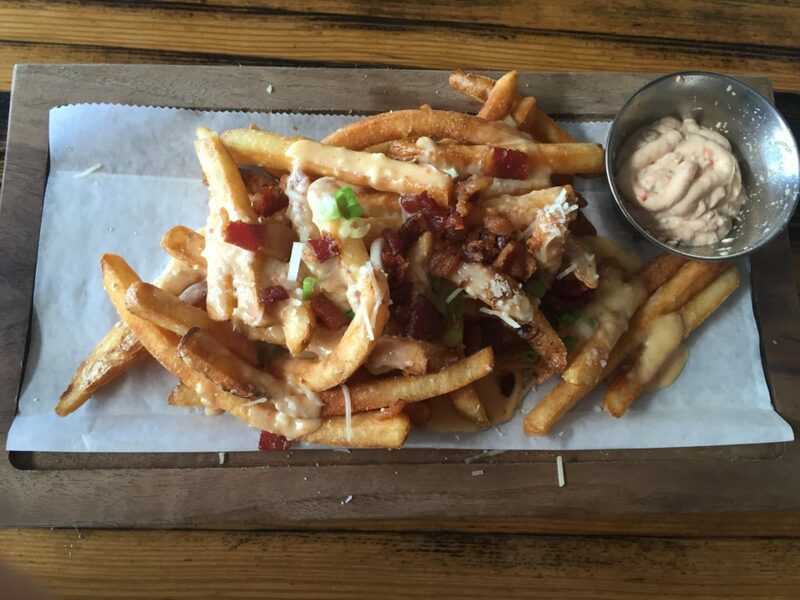 Dip the fries on the side in the addictive aioli. It seems like every restaurant has short ribs on the menu lately, but the dish stands out here with punchy pickled cabbage, cauliflower, and miso polenta. 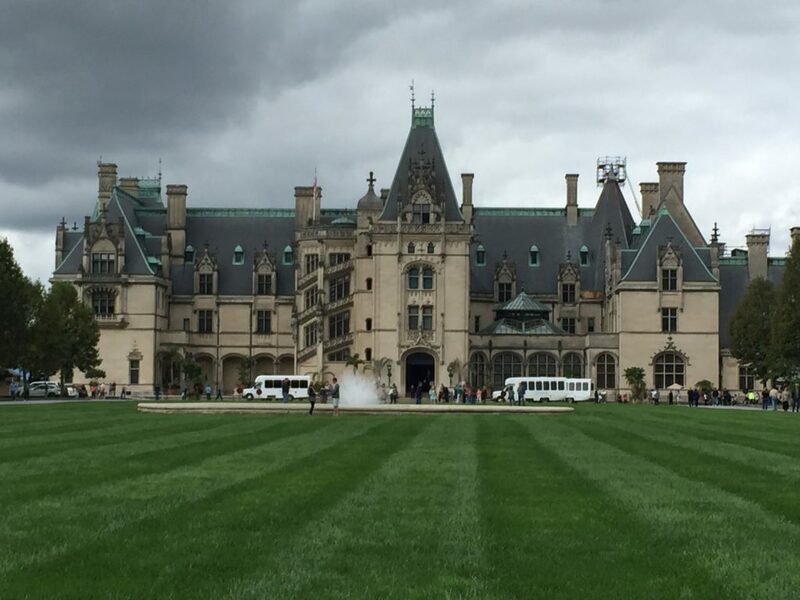 My pick for the next visit? The Duck Confit, plated with celery root, potato gnocchi, walnuts, and prune demi-glace. Culinary Clue: Don’t forget to catch a distillery tour or pick up some merchandise in the gift shop. 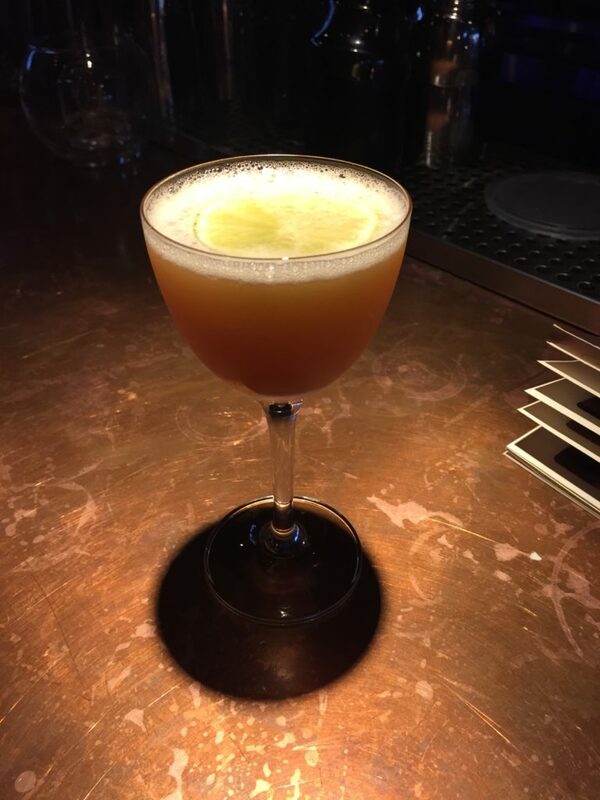 Their pre-mixed Old-Fashioned blend is great for lazy people (me) when you want a fabulous cocktail with minimal effort. The other bottled spirits like the bourbon-barrel gin and nocino are also available for sampling and bottle sales!